As a quick and efficient solution for those that would like to either add a trunk sub or replace the OEM woofers with SWS-8 (with harness modifications), this is a custom made to order, plug 'n play complete harness with a built in, either 50W or 150W max Navone LOC -depending on your OEM audio system- with remote turn on signal output right at the harness itself -no need to run a remote wire from the cabin. 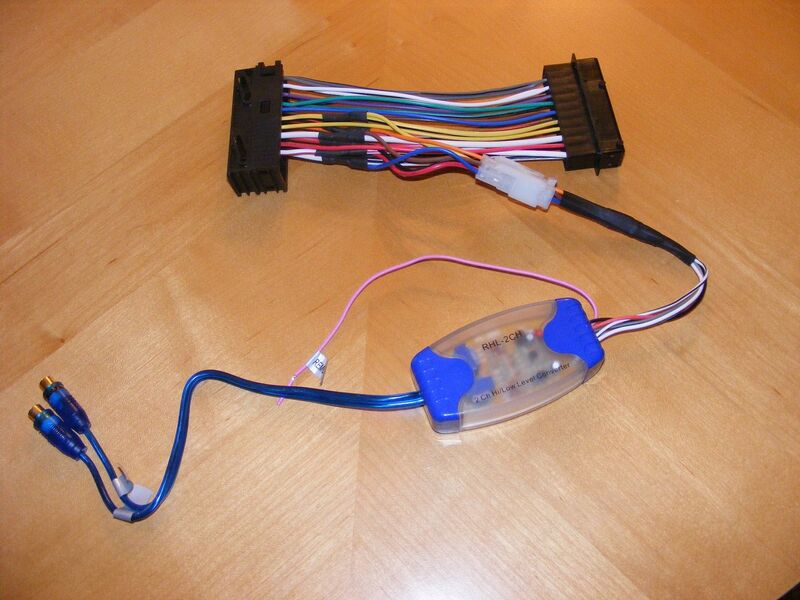 This harness connects between the OEM amp and the OEM audio connector using OEM connectors, so no OEM wires need to be cut, spliced or tapped. Just plug it and add the amp. Navone LOC takes care of the Top HiFi (Individual Audio, Logic7) and the standard HiFi OEM amp high power woofer outputs, so interface with any aftermarket amp is guaranteed. Applies to the E60 5-Series and 6-Series. Can be used with the Top HiFi (Individual Audio, Logic7 or HK Premium systems) of the 1- and 3-Series. PM for details. Price: $75 for 10 members (PayPal when list is full), shipped in the USA, 1 year warranty in case of defects or malfunctions. Warranty void if harness is modified in any way. would this work for a 2004 545i? I dont have the premium sound, and I dont have the cd changer, just a single deck. if it does work, please add me. If your system is the HiFi with the 20-pin connector then it works... check the photos of the harness installs. If you have no amp in the first place, I take it it wont work at all, right? would that run from the HU to the trunk, to connect to the amp, so that any feed from the amp subsequently goes via existing wires to the subs under the seat, or would it simply give remote on/off from the HU as well as low power input to the amp, and I'd still have to run seperate wires to feed the subs and bypass the stock wires?